| Russian Import Limited Edition | Peter Andersson from the Cold Meat Industry act Raison D’etre now presents his sound work for film and exhibition, spanning through the years 1999 to 2006. Peter has been working on several film and exhibition projects, some of these projects never went to final completion but the music was composed in almost all the cases. 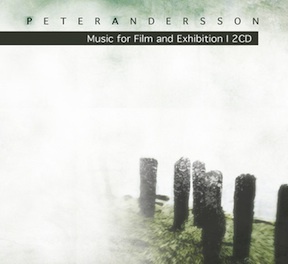 Music for Film and Exhibition presents a broad spectrum of the sounds and music capabilities of Peter Andersson and those familiar with any of his different music projects including Raison D’etre, Necrophorus, Atomine Elektrine, Bocksholm etc. will most probably enjoy this double album (music duration 151 min.) very much. For now Infinite Fog Productions presents compplete edition of Music for Film and Exhibition I which contains real DVD with Natura Fluxus – film by Peter Andersson and Lars Bosma + some rare bonuses of Peter’s films – Autumn Leaves; Mandala; Dritfing Wall; Nature Morte e.t. Total play time approximately 83 minutes! Natura Fluxus brings us on a poetic, existential and suggestive journey dealing with matters like abandonment, desolation, emptiness, inanimation, remembrance and residual energy through places where we can spot traces of presence of mankind. Discover the aesthetic beauty in old factories and ruins: in the perishable and the metamorphoses that follow. Natura Fluxus is a experimental film where concrete, environmental sounds and original scored music blend with visual stunning sceneries of rarely seen places. The film is in black & white and color.